← Shout to the Lord, baby! 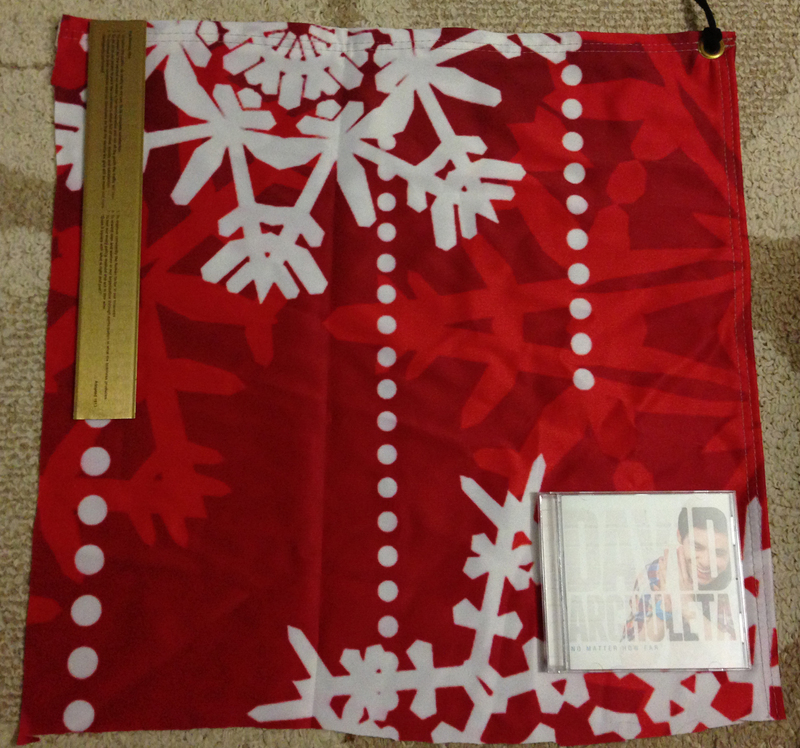 How will you use your @DavidArchie MKOCT prize? I love this contest for a bunch of reasons. First and foremost because it’s the first hint we’ve had in ages that yes, David is planning to pick up the pieces of his music career … or at least scatter them. And am I the only one who pictures Kari backstage on the JT tour hunched over an unfurled backdrop, fingers blistering from cutting the curtain into squares like some sort of mad quilter, muttering “Dang you, Archuleta!” under her breath? Just me then? k, nvm. This entry was posted in Utter nonsense and tagged David Archuleta we've got your back...drop. Bookmark the permalink. 20 Responses to How will you use your @DavidArchie MKOCT prize? I was thinking it might make part of a nice tote bag to tote to annual Christmas concerts (a girl can dream). Although now that you mention it, Jamie Archubear could use a Superbear cape. Or I could cut it into smaller bits and tie them to sticks for kitten toys. Your picture of Kari made me LLOL. LOL! I was thinking a holiday Christmas craft of some kind. Or wall hanging. Kari hunched over cutting squares= Lollerific! Hilarious, haha gotta love this poll! “As one HUGE earing” LOL. This poll had me laughing…a lot! “David Archuleta we’ve got your back….drop”. I present you with another award TOfan, you’ve done it again. The visual of Kari is pretty funny, oh my goodness, thanks for the chuckles! Too funny TOfan. I definitely think it would give Ms. Cyrus a prim and proper outfit. haha. It’s your birthday?? Have a happy day (((hugs))) Gonna give you a real hug SOON!!!!! I think TOfan has same or close to same BD, yes? Thank you for the Birthday greeting!! I imagined his 2014 CHRISTMAS Concert, the lights come up there is a drum roll the curtain drops and out comes David only everyone is staring at the 20 by 20 hole in the backdrop and not David. Lol Guess whoever wins will have to go to all the shows and hold their square over the hole. Can I help?? Me thinks it would take two! TOfan I love you!!!! This is crazy hilarious!!!!! OK ref, get the Birthdays straight for us…TOfans? Kizzi’s on the 6th. I could read and figure it out but when is TOfan’s? Oh a comment on the backdrop piece, I have already promised the piece to four fans (if my name should be drawn), who would scream with excitement if they had it! Happy Birthday Kizzi…your special day, not older, just your special day! I totally giggled my way through the choices on this poll and came very close to choosing a Superman cape for my Build-a-Bear ArchuPooch. This list is hilarity at the highest level (instant review). It isn’t easy to wait for a missionary at my age, but it sure helped to laugh my way to 2014. Thanks, TOfan! Oh, and before I go, let’s hear it one more time: Happy Birthday, Kizzi! Happy Birthday to Kizzie, whom I met for the first time at the MKOC concert, Westbury VIP area. I have no idea right now what I would do if I won that piece of backdrop but I know I would treasure along with all the other great memories I have of that tour. Love this rant from Lady V! we're making (cos they wouldn't be stars if we didn't put packages around them cos they don't write) they've lost the sense of reality!